While the United States is not without its flaws as a country, one of our most cherished freedoms is the right to free speech. It is a fundamental tenet of the United States Constitution and one of the foundations our founding fathers built this country on. It’s also what sets us apart from fascist countries or theocracies. Obviously, there are exceptions to the rule. You can’t scream fire in a crowded theater if there isn’t one, because this creates a clear and present danger to the people in said theater. I’ve always agreed with the Thomas Jefferson quote, and I’m paraphrasing here, “I may not agree with what you say sir but I will fight to the death to ensure that you have the right to say it.” Unfortunately, I think we’ve reached a point in the world’s history where freedom of speech meets with derision and sometimes outright hostility, depending on WHAT you are saying. People don’t respect other’s opinions anymore because they have become so self-assured that theirs is the correct one. Now having said that, I believe it is our duty as citizens to speak freely against hate speech. 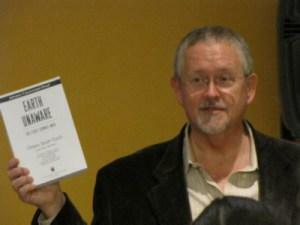 And now we come to the crux of why I went off on my free speech rant–the Ender’s Game movie debacle involving Orson Scott Card. Ender’s Game is a novel that is not only my favorite science fiction book, but a novel I consider, alongside Frank Herbert’s Dune and Robert Heinlein’s Starship Troopers, one of the best ever written. However, Orson Scott Card and the film itself have come under fire in recent months because of Card’s stance on gay marriage. 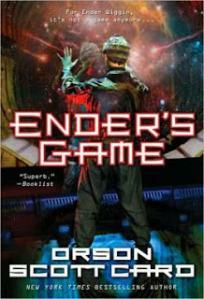 In fact, various gay and lesbian organizations have called for a national boycott of the Ender’s Game film. Card is a devout Mormon who has vocalized his opposition to gay marriage in the past. He was also a member of the National Organization for Marriage, a group that vehemently opposes gay marriage. Now I want to throw some quotes at you from Card that he’s said over the years. In 1990 Card called for laws that ban consensual homosexual acts to, “remain on the books, not to be indiscriminately enforced against anyone who happens to be caught violating them, but to be used when necessary to send a clear message that those who flagrantly violate society’s regulation of sexual behavior cannot be permitted to remain as acceptable, equal citizens within that society.” Those are pretty ugly and hateful words. Card has since renounced that statement saying that it was said in the context of the times, and the speech was to a very conservative Mormon audience. While I don’t buy that excuse, since then he’s stated, “Now that the law has changed I have no interest in criminalizing homosexual acts and would never call for such a thing, any more than I wanted such laws enforced back when they were still on the books.” I’m not sure if he’s saying he had a moment of insanity and changed his mind, but to say he “would never call for a such a thing, any more than I wanted such laws enforced back when they were still on the books” is bogus in my opinion. He OBVIOUSLY did, otherwise why make the statement in the first place? It’s a rather convenient retraction given the current political climate, although to be fair, changing your mind is a right afforded to everyone, even if it sounds disingenuous. Just ask my wife. HEYOOOO! Just kidding honey. Mr. Card we are all now VERY aware of how extreme your views are. Now let me be clear in stating that I think Card is misguided, ignorant, and bigoted when it comes to his opinions on gay marriage. His remarks parallel closely similar arguments made against interracial marriage in the 1960s. Card’s comments are reprehensible and his political views are somewhere to the right of Attila the Hun. I mean come on, no one is preventing his kids from marrying. Also his comment on overthrowing the government based on the marriage issue alone is pretty far-fetched. And the fact that he says gay marriage is a political issue that didn’t exist in 1984 is naïve and patently false. It certainly wasn’t as much to the forefront as it is now, but it WAS present in 1984. 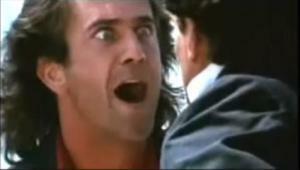 I for one have no problem with gay marriage. I don’t consider being gay a sin. I know a few people who are gay, one of them a close friend who sank into such a deep depression that he cut off all contact with his friends and family for over a month. He struggled to come to terms with who he was and how other people would react to him. I can’t imagine how lonely and isolated he must have felt. But I’ve had my own experiences with the depression demons so I can empathize. Getting back to Card, I don’t agree with his opinions on gay marriage and I don’t have to, I have that freedom. Card is also afforded that freedom. But at the end of the day banning his movie because of his personal views is ludicrous to the point of absurdity. Let me give you some other famous authors who were known bigots in one way or another: T.S. Eliot, Roald Dahl, Dr. Seuss, Edith Wharton, Scott Adams, and Ezra Pound. There wasn’t a ban on Willy Wonka and the Chocolate Factory when it released in 1971, One Fish, Two Fish, Red Fish, Blue Fish is still available in the library the last time I looked, and I doubt that college English departments are going to stop teaching the works of T.S. Eliot. In addition, people are not going to stop listening to Wagner, and AMC is not going to stop airing Mel Gibson’s Braveheart just because those two jackwagons are anti-Semites. What exactly are these groups hoping to accomplish? Decreased revenue for a production company that’s already championed gay films like Gods and Monsters and The Perks of Being a Wallflower? 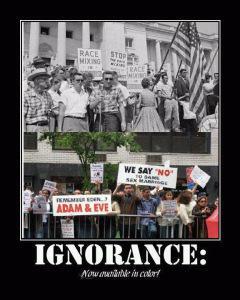 It seems to me their time would be better spent promoting their own agenda of tolerance. I’m not saying these groups have to agree with Card or even respect his opinions. I certainly don’t. They should speak out against his hateful speech. 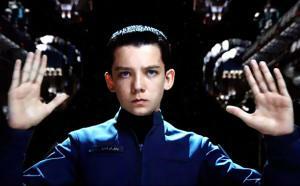 However, punishing the production company and its employees by banning Ender’s Game is worthless. Card was already paid when he sold the rights over a decade ago. Despite the fact that he’s listed as an executive producer, he never spent one day on set and he’s not getting a percentage of the film’s box office receipts. So in the end the only people these groups are ultimately hurting are the employees of Lionsgate, many of whom probably support the stance of these activist groups or are in fact gay themselves! Furthermore, I think they are missing out on an excellent movie which I just had the pleasure of seeing. Neither the film nor the book bashes gays in any way, shape, or form. Separating the art from the artist can be a difficult task but to not at least try makes no sense. This isn’t Mein Kamph, this is a novel and film that explores childhood psychology, friendship, war, genocide, and a host of other topics. I support these activist groups’ stance, but it makes me wonder how many of those who denigrate Card actually ever read the book.